New York may have recently placed second behind London in consultancy Z/Yen’s annual ranking of global financial centres, but Donald Trump could help it regain top spot. Comments on Nov. 10 from the property magnate’s new website, which will map out his transition to the presidency, reaffirmed his campaign-trail commitment to financial deregulation, including a refashioning of Dodd-Frank post-crisis banking reforms. True, it remains uncertain whether this is good for the largest banks. The president-elect thinks Dodd-Frank fails working people, by making big banks bigger and hindering smaller competitors. Trump sees the latter as key drivers of economic growth, while viewing the former’s riskiness as a burden on taxpayers. Trump’s as-yet-unnamed Treasury secretary could therefore still choose to whack Wall Street. One other way to help tilt the balance back towards thrifts and community banks could be the forced separation of lenders into investment and deposit-taking institutions, a notion tentatively backed by Trump. A modern-day equivalent of the Glass-Steagall Act could end one of Wall Street’s advantages: its use of cheap long-term retail funds to back highly profitable wholesale loans and other products. Equally, though, New York financiers could gain. The Republican Party’s time-honoured inclination is to cut back the state, and the transition website says Trump’s policy team will pause rulemaking temporarily. And despite Trump’s campaign claims that Hillary Clinton was a shill of Wall Street, banks may feel that they will have an easier time lobbying him than a Democrat keen to protect the previous administration’s reforms. The Big Apple will also fancy its chances of chasing down its weakened rival. Britain’s June vote to exit the European Union has left the City of London reliant on the kindness of politicians. Some business is likely to drain away. It’s hardly far-fetched to imagine, as one regulatory expert does, the likes of Frankfurt, Paris and Dublin taking a combined 10 percent of UK financial services revenue, with a further 10 percent vanishing entirely. In the rosiest of scenarios for New York, a 15-percent slice might cross the Atlantic. It’s still too early to be absolutely sure what Trump means for Wall Street. But New York may have just edged ahead of London in the contest for financial hub supremacy. 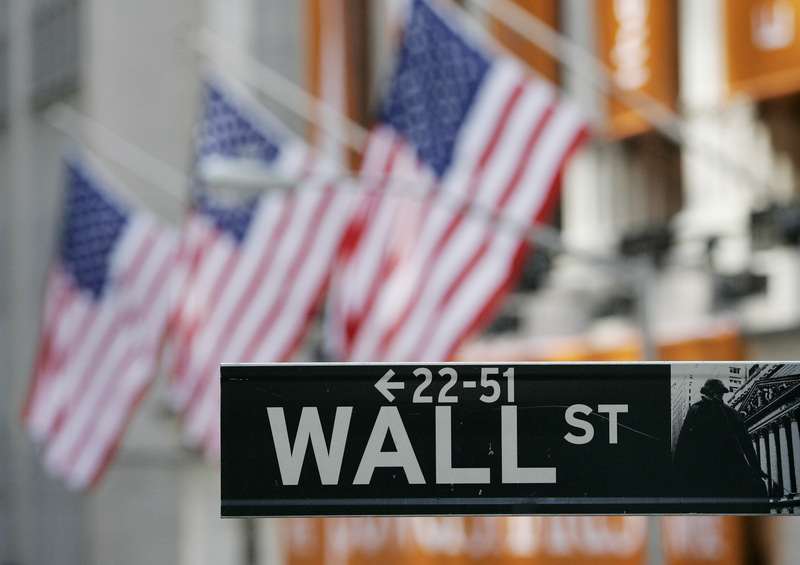 The Wall Street street sign is seen outside the New York Stock Exchange in New York February 28, 2007. Donald Trump intends to scrap banking reforms known as Dodd-Frank and to introduce no new regulation for an undefined period of time, according to comments published on the United States president-elect's official website on Nov. 10. Trump's financial services policy implementation team "will be working to dismantle the Dodd-Frank Act and replace it with new policies to encourage economic growth and job creation," according to the website, which will detail Trump's transition to the presidency. However, it also added that "the big banks got bigger while community financial institutions have disappeared at a rate of one per day, and taxpayers remain on the hook for bailing out financial firms deemed 'too big to fail'."